VOTE: Did the Stars Influence You? 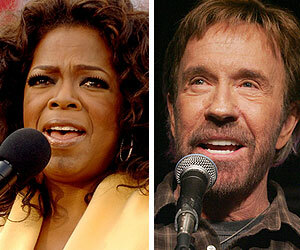 Oprah Winfrey's endorsement of Barack Obama was seen as a major plus for his campaign. And Chuck Norris' muscle for McCain was a bonus for his camp.